Last Friday, Dec. 7, funding for several federal agencies was due to run out unless Congress passed a set of appropriations bills, which we hoped would contain reforms to the H-2B guest worker program. Unfortunately, the death of former President George H. W. Bush and his state funeral last week brought official activity in Washington to a halt. Congress decided to defer action on the budget and fund the agencies for an additional two weeks to Dec. 21. Congress had passed full-year funding for the current fiscal year, which began on Oct. 1, 2018, for the departments of Defense, Labor, Education and Health and Human Services back in September, but left other agencies of the federal government, such as Homeland Security, with funding only until Dec. 7. Funding for the president’s border wall continues to be the major sticking point in coming to a consensus on completing the federal budget for the current fiscal year. Negotiations on this and other remaining issues are to restart the week of Dec. 10 with a meeting among Democratic Congressional leaders, House Minority Leader Nancy Pelosi (D-CA), Senate Minority leader Chuck Schumer (D-NY) and the president. A tentative plan for the reform of the H-2B guest worker program was hammered out among a small group of House and Senate members (Senator Tillis (R-NC), Senator Rounds (R-SD) and Rep. Harris (R-MD)) in consultation with industry representatives in November. That plan includes the returning worker provision along with several other reform measures that improve the program but also strengthen federal enforcement tools. The powerful chairman of the Senate Judiciary Committee Chuck Grassley (R-IA) is also said to be on board with the plan. Require employers using the H-2B program to verify the legal status of recently hired and new non-H-2B employees. This plan is by no means a done deal. That several powerful Republican lawmakers have negotiated this plan is very helpful, but negotiations over the bill language that Congress will act on before the Dec. 21 deadline is not yet final. Many H-2B advocates believe that if this plan is not passed before this Congressional session ends Dec. 31, 2018, it could be years before we get another opportunity. This is truly our last chance. 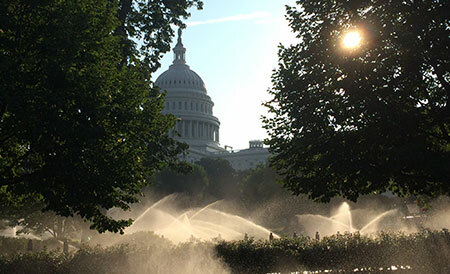 AmericanHort has an action page on its website with more information on how to contact your Senators and Congressmen. Also, the National Association of Landscape Professionals has resources on its website to assist in your advocacy efforts. If the H-2B program is important to your business, then you must act now. Call your U.S. Senator and Congressman, send them emails and faxes and tell your story about how important this H-2B reform plan is to your business. Calls are most effective given that the time is short.